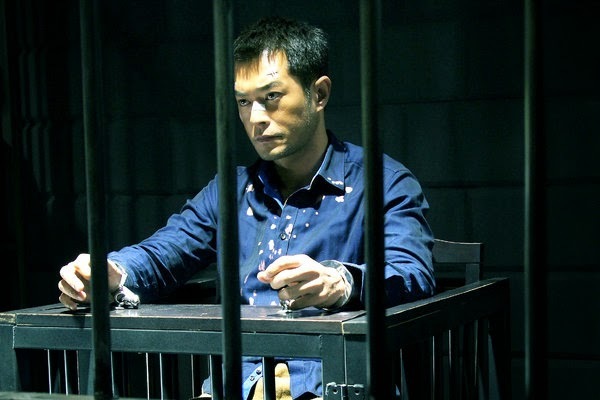 HK actor Louis Koo (Timmy Choi) "Drug War"
I spent more than five hours last night watching and re-watching "Drug War", the riveting crime thriller from celebrated Hong Kong director Johnnie To. It’s soooo good! Until now, I am still in complete awe of how the tone and energy of the movie was quickly established within the very first minute! There was no unnecessary character exposition, no unnecessary setup scenes. It’s a non-stop thrill-ride that delivers all the goods. From the first sequence to the explosive and unexpected finale, the action and suspense just would not let up. This is not a pretend thriller – this is one of the very best! I compare it to Korea’s "Cold Eyes" (which I saw at the Santa Barbara Fest recently) for its intensity and tight storytelling. A movie is good when I am forced to hit replay as soon as the end credits start to roll up. A movie is great when after watching it the second time you are still fighting the urge to watch it the third time because otherwise you will be spending your next day at the office with embarrassing dark circles around your eyes. A movie is great when I can’t stop talking about it. "Drug War" is available on DVD and Blu-ray now. Rent it, stream it, watch it.